Not in the holiday spirit yet? These seniors will help you out! As reported in NPR today, senior citizen flash mobs have been surprising shoppers across the country with fun Christmas dance routines. Check out their moves and let us know if you spot one! 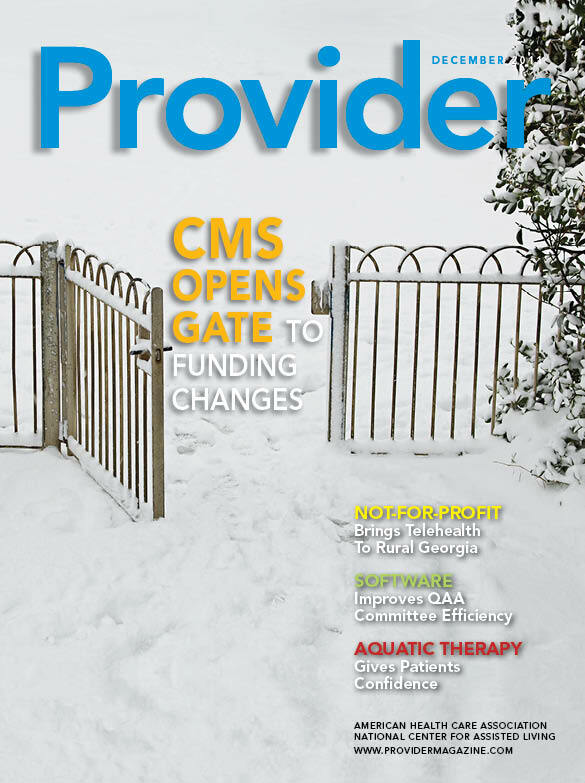 The current issue of Provider magazine takes an in-depth look at the funding changes in store for Medicaid programs across the nation as the federal government and states grapple with the challenge of paying for dual-eligible beneficiaries. 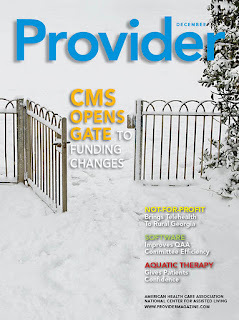 The cover story, "CMS Opens Gates to Funding Changes," takes a deeper look at managed care in the Medicaid world by going to providers in Arizona for answers. Arizona is one of the few states with managed care programs in place for long term care. As detailed in the story, the solutions favored by many policymakers in Washington may actually present another level of challenges for providers and drive dollars away from caring for Medicaid-eligible seniors. A source tells Wagner how the market has responded to the Medicaid shift to managed care by creating a new niche of facilities specializing in Medicare-only beneficiaries in Arizona. This month’s Provider features a number of News Currents pieces on hot topics like observation stays, assisted living oversight, accountable care organizations, and quality data released by AHCA showing further progress in caring for residents. Columns focus on caregiving, management, and technology for long term care, from aquatic therapy gaining favor in facilities to telehealth options expanding in rural Georgia. Check out the December issue for more. 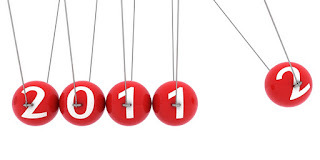 As 2011 is winding down, everyone, even Congress, is trying to check off their end-of-year to do list. On a federal level, that means extending the provisions that need to be extended and issuing last minute bills before adjourning for the session. That is the case with the recently introduced House legislation you may have seen in the media. 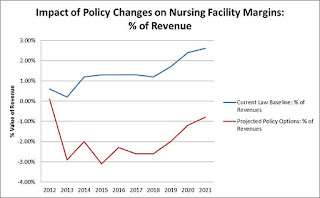 While this is not predicted to pass the Senate, the bill includes a provision that could have a disastrous effect on every nursing facility in the country. Medicare bad debt, a little-understood and little-discussed issue, is cropping up now that it is included in this legislation as a pay-for to help offset the cost of the doc fix. Bad debt is easily explained but not easily resolved, and may only become more difficult in the years ahead. On its surface, bad debt is fairly simply. Take two sisters – Mildred and Ingrid. Let’s imagine each sister lives in a different state, and Mildred is on Medicare, while Ingrid is on both Medicare and Medicaid. Both fall at home and are admitted into the hospital and then discharged to a skilled nursing facility where they receive comprehensive rehabilitative care. Medicare covers the first 20 days of a SNF stay, but on the 21st day they are required to pay a copayment to the facility. Mildred, who is not covered by Medicaid, must pay this copay - $141.50 in 2011 – out of pocket. Ingrid is not responsible for her copay, as she is a Medicaid beneficiary. 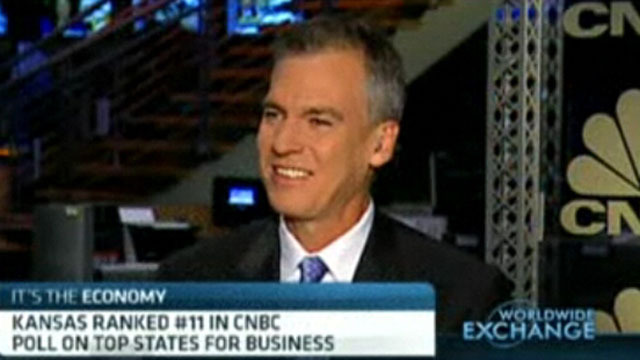 Some Mark Parkinson with your coffee? 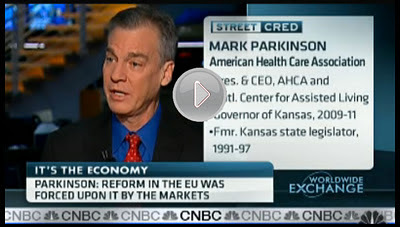 The early bird gets the worm - or in tomorrow morning’s case, gets to watch AHCA/NCAL President & CEO Mark Parkinson on CNBC’s Worldwide Exchange. Show starts at 4:00 am ET/3:00 am CT, but the governor’s appearance will be during the 5:00 – 6:00 am time slot. So, a little more time to sleep in. Mark will be returning tomorrow as a guest host on the global business program, which provides in-depth coverage on issues that impact global investors. He’s expected to provide some of his personal business insight (from all those years owning and operating assisted living facilities) on topics such as the European debt crisis and the current state of the U.S. health care system. He’ll help interview guests, including CEO of Frontier Rare Earths James Kenny and 3M CEO George Buckley. Hopefully, he’ll also get the opportunity to talk about how the long term and post-acute care profession is coping through this challenging economic and political time. So, set that alarm clock… or if you really can’t get up that early, set your DVR! We’ll keep you posted on any clips that CNBC posts online as well. 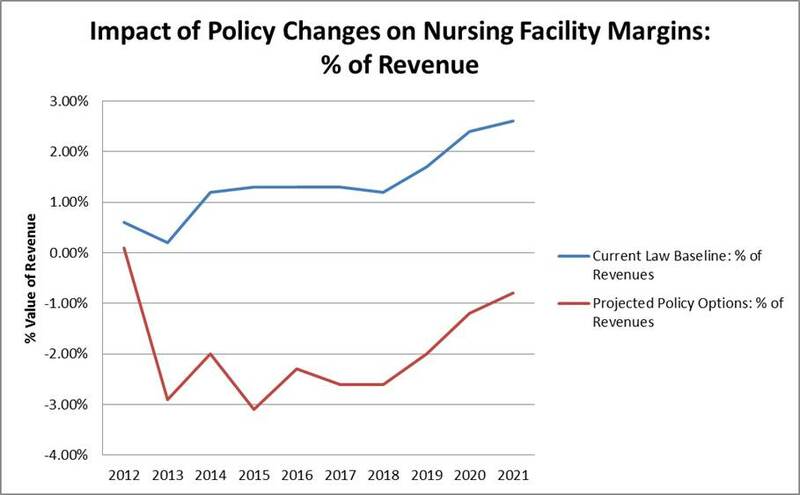 As communities and providers feel the pinch of the tightening budget belt, The Moran Company released a study this week, echoing the fact that operating margins of nursing care centers are razor thin. The report emphasizes the concern advocates across the nation are raising about protecting seniors’ access to care. 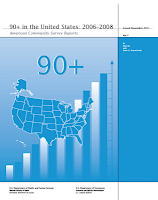 The study, commissioned by the American Health Care Association to examine the potential, financial impact of changes to Medicare reimbursement policies, reiterated the fragility of the long term care industry. The Moran Company, an external research and consulting firm, evaluated the operating margins of nursing facilities for most recent available data (FY 2009) and found that margins were at 0.75%. This finding confirms the previously reported MedPAC data that margins for the industry are threateningly low. AHCA/NCAL President & CEO Governor Mark Parkinson is on the road again, speaking at a myriad of state affiliate conferences and conventions about the ability of skilled nursing and assisted living to be at the forefront of the health care sector. Just in the month of October, Parkinson has been to Pennsylvania, South Dakota, Alabama, New Jersey and Florida. 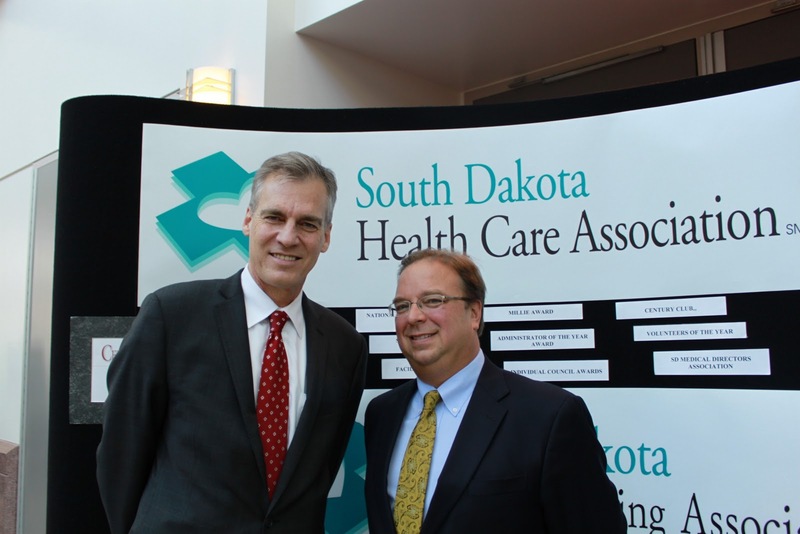 Still in his first year as President & CEO, these visits not only allow Parkinson to speak about his vision for the association and the profession, but meet with state affiliate leaders, members and partnering businesses. It gives him to the opportunity to learn firsthand how our sector is currently grappling with the sluggish economy and rounds of reductions from federal and state governments. Check out this ad from the National Committee to Preserve Social Security and Medicare. It features a wide range of Americans worried about cuts to Social Security, Medicare and Medicaid by Congress. AHCA also has an informational campaign to educate Members of Congress and the public about the dangers further cuts to Medicare and Medicaid would have on access to skilled nursing care. Learn more and find out how to take action at www.carenotcuts.org. As the race to White House continues, AHCA is in the front seat following the candidates, the political conversations, and the changing future of the long term care profession. 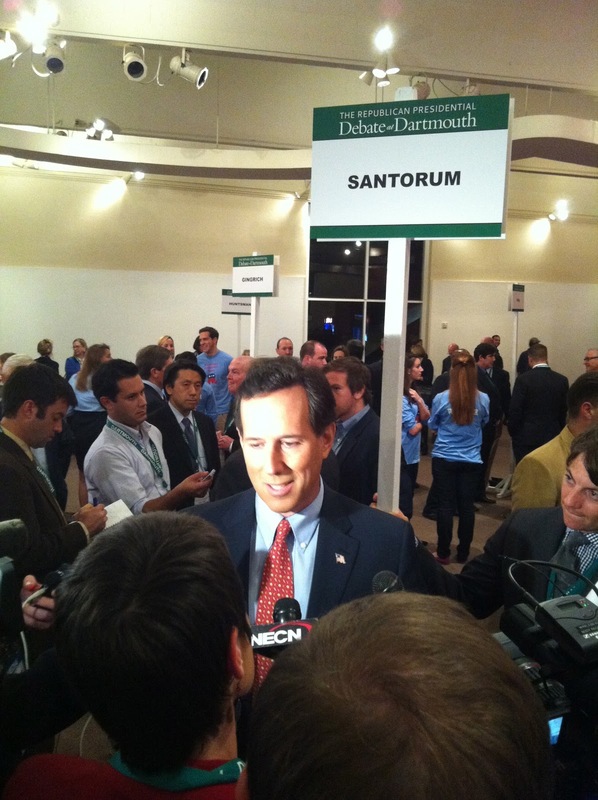 Last night, AHCA was on scene at the New Hampshire Presidential Primary debate in Hanover, NH. AHCA and the New Hampshire Health Care Association (NHHCA) were the lead local media sponsors of WBIN, the regional television station that aired the debate throughout the New Hampshire, Vermont, and Massachusetts regions—regions that are ripe with political action, independent thinkers, and voters who are concerned about the future of long term care in this country. Prior to last night’s debate, NHHCA President John Poirier last week posed difficult questions to the candidates through interviews with the media, urging the candidates to consider how they would address issues such as Medicare and Medicaid funding, the onslaught of baby boomers who are aged 65 and older and their multiplying health needs, and the protection of the jobs and economic boost that the long term care sector provides. AHCA submitted several questions to the debate moderators for consideration that focused primarily on those matters closest to the core of the long term care profession. On the topics of Medicare and Medicaid, Governor Perry stated last night that he supports a Medicaid block grant program—a program that AHCA has always found inadequate to fully serve the people dependent upon Medicaid for care. Proposals that convert the Medicaid entitlement into a block grant tend to eliminate the current formula under which states receive federal dollars based on a set percentage of incurred costs. Instead, block grants provide a fixed dollar amount each year that is based on an arbitrary baseline, which does not take need into account. AHCA will continue to fight on the behalf of its members and those frail, elderly, and disabled individuals who rely on the programs for continued health care. Every eight minutes, an American turns 65. And as these individuals age, more than 1.5 million turn to Medicare and Medicaid for care every single day—and these people need not only to be heard, but to be continually involved in the political conversations that determine the future of their access to quality health care. The majority of last night’s debate was focused on jobs and the economy, a topic that will continue to be of particular concern to AHCA, as the long term care industry is the nation’s 10th largest employer and contributes 3.1 million American jobs. In 2010, as the nation continued to slide into unemployment frustration and a dreary economic forecast, the long term care industry provided 63,000 new jobs—jobs that helped Americans provide for their families, continue to support their communities, and secure their health care today and for the future. As candidates continue to consider jobs plans and a strategy for economic gains and a full recovery, AHCA will continue to promote the position of this sector as a lynchpin of a successful plan. A secure economy requires industries and professions that are secure, that provide successful, fulfilling jobs to Americans, and that are investing in future growth. As the race to the presidency progresses, AHCA will continue to provide its members and the long term care community the facts they need to know about the issues that mean the most. The second ad, "Rehab," features a senior who, after being in the hospital, received his post-acute care from a nursing home and then returned home. The Care, Not Cuts informational campaign will continue throughout the remainder of 2011 to draw attention to the fact local nursing homes and assisted living facilities are a critical part of the health care continuum. This second flight will also include radio, online and Metro transit ad placements throughout the Beltway. To learn how you can take action against possible cuts to nursing and assisted living facilities, visit www.carenotcuts.org. In yesterday's USA Today, reporter Richard Wolf offered five possible areas the federal government could look to in order to “squeeze Medicare” and address the rising costs of the program. But as Wolf points out, Medicare continues to be considered “one of the most popular programs ever devised by the federal government,” and faces a tough battle in undergoing substantive changes through Congress. In case you missed it, AHCA and the Alliance for Quality Nursing Home Care launched their new informational ad campaign, "Care Not Cuts," this week. 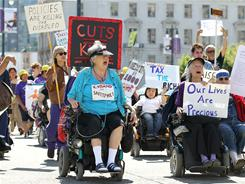 To learn how you can take action against possible cuts to nursing and assisted living facilities, go to www.carenotcuts.org. This week, AHCA and the Alliance for Quality Nursing Home Care launched their nationwide informational campaign, “Care Not Cuts,” to educate lawmakers about the impact of additional cuts to long term and post-acute care facilities. But some of the profession’s best messengers are its members. Last week, Congressman Jeb Henslaring held a roundtable discussion with about 25 local residents in Gun Barrel City, Texas. In attendance were two AHCA/NCAL members: Sonny Humble of Cedar Lake Nursing Service in Malakoff, and Ronald Payne of Southwest Long-term Care Management, owner of Green Oaks Nursing Home in Athens. Humble and Payne are concerned with the cuts skilled nursing homes will be taking, come Oct. 1, 2011. The cuts involve the rehabilitation part of the nursing facilities. According to Humble and Payne, no other industry is regulated as much as a skilled nursing facility. Humble and Payne said their facilities have already suffered enough cuts, and another cut is due to come in October. Rep. Henslaring is one of the 12 members of the Deficit Reduction Committee, also known as the Supercommittee, that is charged with coming up with recommendations to reduce federal spending by November 23. Medicare and Medicaid cuts may be on the table, making many AHCA/NCAL members take action. But Humble and Payne weren’t at the roundtable to just warn against additional cuts, they helped offer solutions to the budget crisis. According to the literature they presented Hensarling, their plan is a relevant policy proposal that meets the needs of patients, and address the threatening financing crisis by streamlining the post-acute care-payment system in a sustainable patient-centered and cost-effective way. Their proposal states this plan reduces the Federal spending by an estimated $15-$20 billion over a 10-year budget window. AHCA/NCAL encourages more of its members to follow the example of Humble and Payne, and take advantage of any local meetings with their Members of Congress while their at home in their districts. To find about town halls or events in your area, contact AHCA’s Meredith Freed, find sample questions and talking points on AHCA’s website. With over 400 highly motivated attendees, this year’s Briefing was able to convince several Members of Congress to contact the Centers for Medicare and Medicaid Services (CMS) and the White House regarding the problems with the Skilled Nursing Facility Prospective Payment System (SNF PPS) Proposed Rule for FY 2012. These advocates were, after all, well informed constituents who either own or operate nursing homes or other long term care facilities and many included caregivers on their teams to give a first hand account of what it takes to give quality hands-on care. Major national issues on the day’s agenda included: Medicare (SNF PPS), Medicaid (block grants, provider taxes) and assisted living (proposed new HCBS rules). 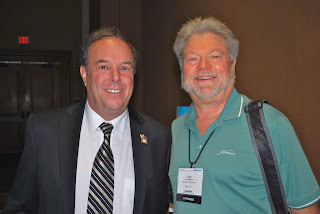 Delegations from many states also had local issues to discuss with their Member of Congress. Attendees listen during the Briefing. A sub-theme of all the core issues concerned employment. Long term care is the 10th largest employer in the nation, contributing 5.4 million jobs and supporting $529 billion in economic activity. Drastic short or long term cuts to Medicare or Medicaid can be very disruptive to a local economy. Specific issues aside, attendees were ready to make an impact on Capitol Hill. AHCA/NCAL prepped all advocates the day before with special sessions for not-for-profit members, assisted living members, “first timers,” and “Future Leaders” of long term care. At the pre-visitation briefing, participants were updated on issues and received materials to help them explain complex issues. 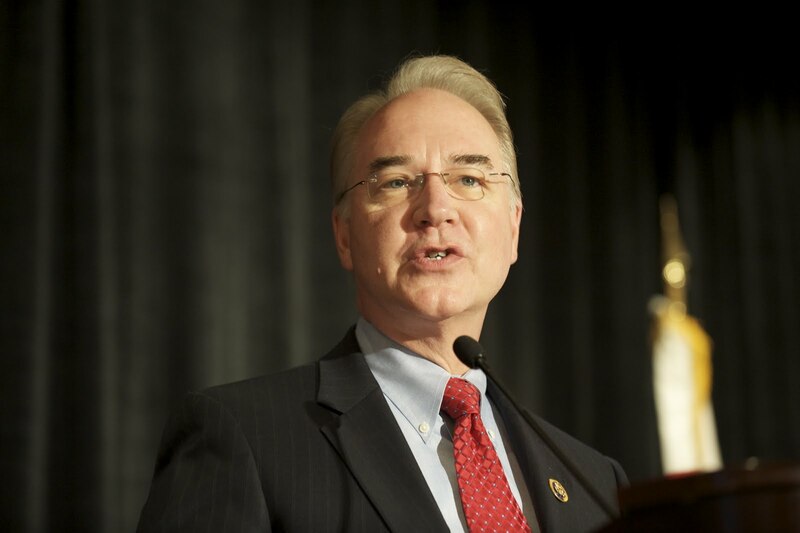 This session included positive encouragement by Members of Congress Andy Harris, M.D. (R-MD); Tom Price, M.D. (R-GA); and Diane Black (R-TN). All speakers shared the same message with participants: “advocating for quality long term care is as simple as telling your story." As Governor Parkinson stated, “We’re the experts in long term care and Congress needs to hear from us.” Perhaps the best example of putting this practice into action were the 2011 recipients of the Joe Warner Patient Advocacy Award -- Angelo Rotella of Rhode Island; Dion Sena of Florida; and Sally and Roland Rapp of California. These outstanding advocates were recognized by Members of Congress for their contributions to preserving quality care for America’s seniors and individuals with disabilities. Did you visit with your Member of Congress during the Briefing, or at any other time this year? Leave a comment about your experience talking with a Member of Congress. After an article in the New York Times was published last week regarding the upcoming effect of the employer mandate on nursing homes and home care services, many outside groups mischaracterized AHCA as opposing health care reform and seeking exemptions on the provision. Governor Mark Parkinson, President & CEO of AHCA, sat down with Phil Galewitz of Kaiser Health News and had the opportunity to set the record straight. As the governor points out, the employer mandate provision will be challenging for a minority of nursing facilities, especially those that overwhelming serve Medicaid populations. These facilities are typically in rural areas or poor, urban areas. 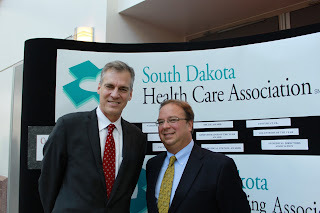 Governor Parkinson also talked about the many other issues the long term and post-acute care profession is facing currently and moving forward, including state Medicaid cuts, managed care plans and the overall financial health of the profession. Galewitz: What is the position of the association on the employer mandate and the impact it will have on the nursing home industry? Parkinson: We supported the Affordable Care Act and we continue to do so. 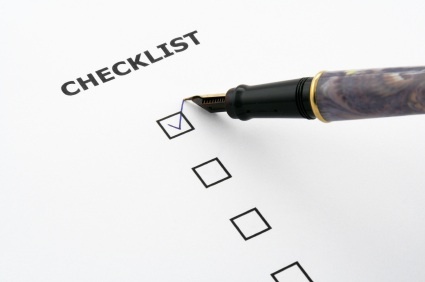 The employer mandate is very manageable for the vast majority of our members. I think all of our providers want to provide health insurance for their employees. The challenge is that a minority of our members -- those nursing homes that tend to be in rural areas or very poor urban areas and have a disproportionate share of Medicaid residents (which frankly they lose a lot of money on) -- those are the members that find it challenging to provide health insurance, insurance that would meet the standard of the Affordable Care Act. So we are working with the [Obama] administration to figure out if there is some accommodation that can be made for these very high-Medicaid-population facilities so that they can be also in compliance with the law. The employer mandate issue is a challenge not just for restaurants and retailers, but for a small segment of the nursing home population, it is an issue as well. The administration has indicated that it is interested in our comments and our thoughts. Galewitz: Why did your association support the health care law, particularly as the industry doesn’t gain by the reduction in uninsured? And do you have any regrets? Parkinson: No. There are no regrets. On balance the membership felt the Affordable Care Act was an improvement on the current health care delivery system. Whether you support the Affordable Care Act or not, when you look at the status quo you know the growth we have had on health care costs is simply not sustainable. We have to make efforts to bring those costs under control because there is a limited amount of money that society is going to be willing to spend on health care financing whether on Medicare or Medicaid. Although we did not receive some of the direct benefits that you may argue that other sectors of the health care industry received, we are part of the overall health care world and if costs don’t come under control generally, then our sector can’t succeed either. Galewitz: What is biggest impact of the law on nursing homes? Parkinson: The potentially largest impact has to do with changes in payment models that may be developed with accountable care organizations and the continued move by the federal government to shift to episodic payments for post-acute residents, perhaps on a bundled basis. That is really an area of the Affordable Care Act that offers an opportunity for a cost savings. The current system of reimbursement is on a daily basis. The longer you are in post acute setting, the more it costs. The Affordable Care Act provides the Health and Human Services secretary an opportunity to develop regulations to shift those incentives to payments based on performance and quality. If we head to a system like that, it could reduce costs. With ACOs, it's very critical that our membership has a seat at the table because we are concerned that ACOs will be created that will leave out nursing homes as a post-acute provider and if that would happen it would be quite bad for the sector. Galewitz: How is the nursing home industry faring as states move to cut Medicaid costs to balance their budgets? Parkinson: Nursing homes are struggling with Medicaid payments. The headline news early in the year is that there would be dramatic cuts at the state level for nursing homes and unfortunately that headline has proven to be the case. I don’t think nursing homes havebeen targeted. It’s because of the general fiscal situation that states have faced. In many states, our association and members were able to reduce the initial size of those proposed cuts, but there are still states out there where cuts are very significant. Galewitz: Do you welcome the growing trend of states to shift their Medicaid long-term care recipients into private managed care companies? Parkinson: Conceptually, it is both good and bad. Moving the program to a group of entrepreneurs who may have more ability at cost cutting and efficiency, that is attractive. On the negative side, what it is doing is creating another layer of infrastructure before payments get out to the facilities. There are mixed results. Federal officials have said that because a new payment formula this year led to an unexpected spike in Medicare costs, it might cut nursing home rates 11.3 percent. 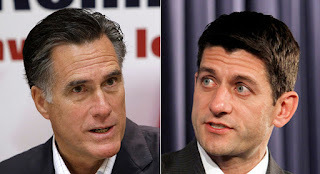 But they have also said they may increase Medicare rates. Galewitz: How would you describe the financial health of the nursing home industry? Parkinson: If we had some certainty about what our Medicare reimbursement rates would be at the end of year, I could answer in better way. Going into the year if we were to poll our membership, most would say we are doing OK for now. We are at our historical margins of 2 percent. For now, everyone is worried what happens this year and next year. If we have a one-time 11.3 percent decline, then the state of the profession will not be healthy. If it is something less or something phased in over three years we will be back to a position where the profession is in OK shape. 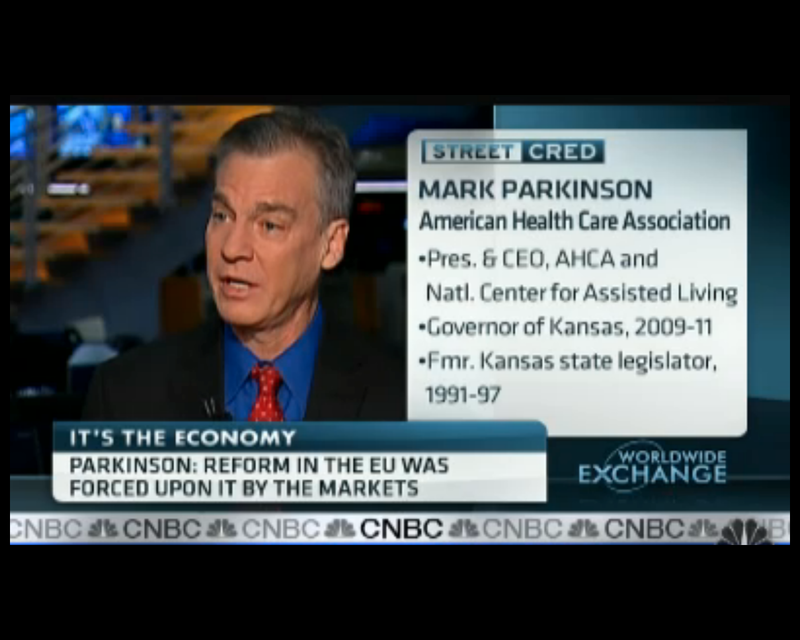 Besides making the rounds at Fox Business and CNBC cable shows this week, Governor Parkinson is also getting the word out about the great work at AHCA/NCAL by recently joining the U.S. Chamber of Commerce’s Association Committee of 100. 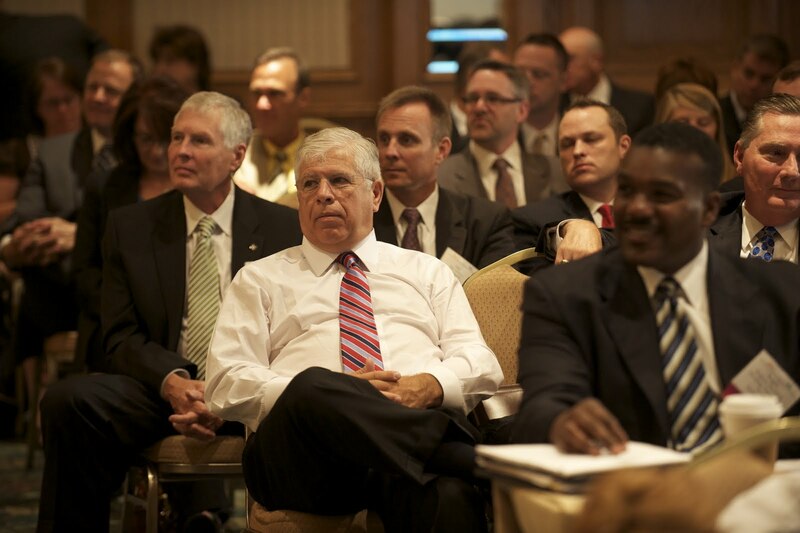 The committee brings together leading association executives to network, build partnerships, and discuss current issues. Governor Parkinson and the other CEOs will represent association members before the U.S. Chamber’s board of directors, enhance Chamber lobbying and coalition work, recommend programming, and strengthen outreach to the business and association community. 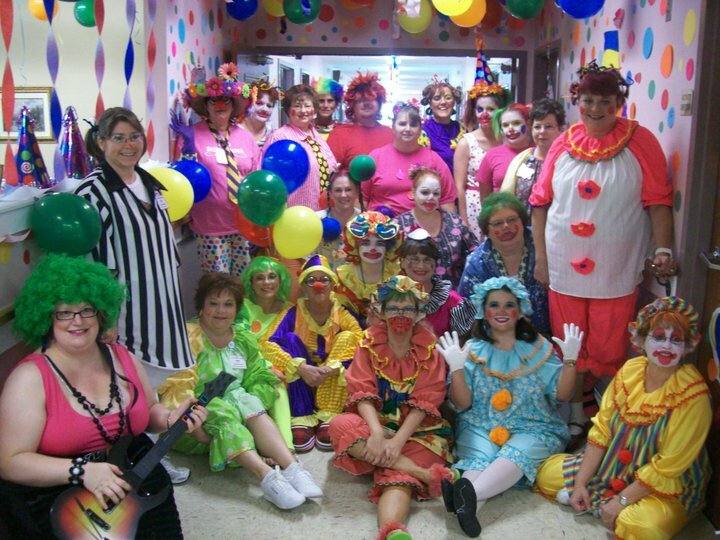 Find additional members of the Committee of 100.
at TLC Nursing Center of Oneonta, Alabama. This Sunday kicked off National Nursing Home Week®, a time to honor the residents and staff in our nation’s nursing homes and those that make a positive difference in their lives. Centered on the theme “Fulfilling the Promise,” nursing homes around the country are celebrating with parties, friendly competitions, and community events. Residents of the Crandall Medical Center in Sebring, Ohio are celebrating with “Around the World in 5 Days.” Based on the longer Jules Verne novel, this cruise of exotic locations will include food, music, and entertainment from each “destination.” Residents are making stops in the South Pacific, African, Italy, China and Mexico. But National Nursing Home Week isn’t just for residents. Take Hereford Nursing and Rehabilitation in Hereford, Texas. They’re inviting the public to satisfy their sweet tooth by helping bake cookies for staff and residents or stopping by on Friday for donuts and coffee. 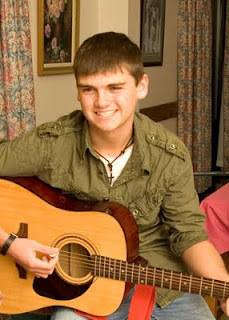 A local high school group has already agreed to chip in and help strengthen the bond between generations. As residents, staff, volunteers, families and friends celebrate this special week, it’s also a great time to remind ourselves about the important role that nursing homes play in the larger health care delivery system. Governor Mark Parkinson, President and CEO of AHCA/NCAL recently shared his thoughts on “Fulfilling the Promise” to America’s seniors. AHCA invites you to visit your local nursing home this week and find out how you can join in the fun. Check out the National Nursing Home Week Facebook fan page to see what others are doing or visit the National Nursing Home Week website. The Health and Human Services Office of the Inspector General just issued a report that raises a number of questions about the use of antipsychotic drugs in nursing facility patients many with Alzheimer’s and other forms of dementia. Speaking as a geriatrician, I know that we can do more to reduce the number of patients in nursing homes that are on antipsychotic drugs, but this study oversimplifies the issues and implies greater misuse of these medications. 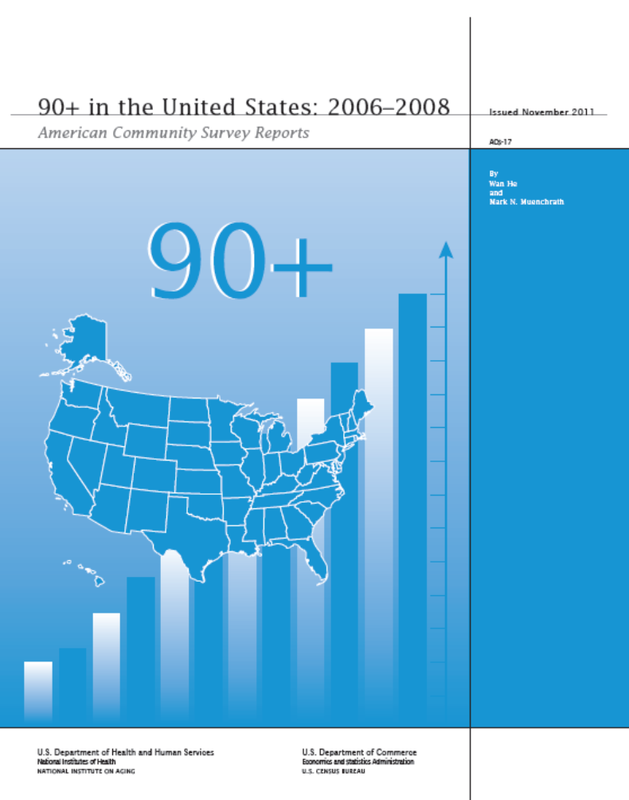 The majority of nursing home residents (86%) in this study from 2007 are not on antipsychotic drugs. Of the 14% receiving one of these mediations, only 22% were found to not meet CMS standards for medication administration (or 3% of all nursing home residents). Nonetheless, this is still too high a number and further efforts should focus on ways to manage nursing home residents with dementia and behavior problems without medications. This study also found that when prescribed, these medications were given for so-called “off label” use 83% of the time. The use of medications for off label reasons is common practice. Off label use shouldn’t be misconstrued to mean inappropriate use. I agree that we can do more to learn how to help our nursing home residents, in particular those with dementia with behavior issues. We need to look for ways to treat a person’s condition and behavior – ideally without medication. At AHCA, we will keep working with physicians, caregivers and family members to educate them on these issues and look for ways to improve the care for the 1.5 million Americans who need long-term services every day. Look at the activity board for almost any nursing and assisted living facility in America today, and most likely, there is a movie being shown in the next week. Going to the movies is a classic American pastime. Even during recessions and depressions, people are lining up to get a ticket to the next big show. For those in long term care facilities, the same is still true. 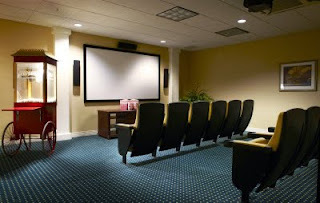 Whether timeless classics or the newest blockbusters, movies are a great way to bring residents together and socialize. However, showing a video at a nursing or assisted living facility isn’t as easy as popping in a DVD at home. For more than 20 years, the profession has had to negotiate video licensing fees with the Motion Picture Licensing Corporation (MPLC). The latest negotiations between AHCA/NCAL and our friend LeadingAge with MPLC helped bring out an agreement allowing nursing and assisted living facilities to be exempt from video licensing fees. With the last agreement expiring in 2000 and many facilities unsure about whether they needed to pay licensing fees, this is especially helpful in bringing clarity to the issue. It’s certainly a victory for the thousands of facilities that like we said before, show a video to residents almost every week. Any senior community or facility which has a closed circuit television system (such as an in-house channel) playing videos must obtain a license. Communities with independent living units, apartments or other similarly defined living quarters must acquire a license based on the number of independent apartments in the community. Since many long term care facilities incorporate a number of facets including nursing, assisted living, independent living and continuing care retirement communities, AHCA/NCAL and LeadingAge helped negotiate that member facilities can receive a 10 percent discount on all rates MPLC has applied to their facility. So break out the popcorn, folks! It’s time to kick back and enjoy a good flick. President & CEO of AHCA/NCAL, Governor Mark Parkinson, is making the news this week after holding a roundtable with some leading health policy reporters in the DC area on Tuesday. Improve quality – take advantage of new technology that can help lower costs. The discussion also led towards how the profession feels about possible Medicaid block grants, upcoming cuts to Medicare and certain provisions of health care reform, including the Independent Payment Advisory Board (IPAB). President Obama gave his speech on the administration’s new fiscal policies yesterday, following the Republican’s proposed FY 2012 budget announcement last week – marking the beginning of what is sure to be a tumultuous debate. The president’s plan aims to reduce the deficit by $4 trillion over the next 12 years or less; find a combination of spending cuts and tax reforms; eliminate the Bush tax cuts to the wealthiest Americans; and form a bipartisan, bicameral Congressional team to agree on a legislative framework for comprehensive deficit reduction. Strengthening the Independent Payment Advisory Board (IPAB) Seeks to “bend the long-term cost curve” by setting a target for Medicare cost growth per beneficiary to “GDP per capita plus 0.5%” starting in 2018 by bolstering IPAB. The intent is for IPAB to serve as the last line of defense though additional authority, and to improve quality of care and cost reductions without placing additional financial burdens on seniors. Increase Scrutiny of Providers using Higher-risk Banking Arrangements to receive Medicare Payment To prevent fraud and abuse, providers would have to report the use of "sweep accounts" (accounts that automatically transfer funds to separate accounts) for receipt of Medicare payments, so that those accounts could be targeted for enhanced scrutiny. Making Medicaid More Flexible, Efficient, and Accountable The framework uses the Patient Protection and Accountable Care Act as a foundation and seeks to save no less than $100 billion over 10 years, without employing block grants, eliminating the Federal-state partnership, or “reducing health care coverage for seniors in nursing homes, the most economically vulnerable and people with disabilities.” Further goals include better quality of care, additional fraud and abuse protections, as well as enhanced efficiency and accountability measures. Provider Taxes The framework would “clamp down on states’ use of provider taxes to lower their own spending while not providing additional health services through Medicaid”. As is the case with the President’s FY 2012 Budget, this framework only serves as a recommendation to Congress. Although the House and Senate are certain to consider the President’s recommendations, neither chamber is required to include any of the framework concepts in legislation. Find out more about President Obama’s fiscal framework through his fact sheet.